Hey! 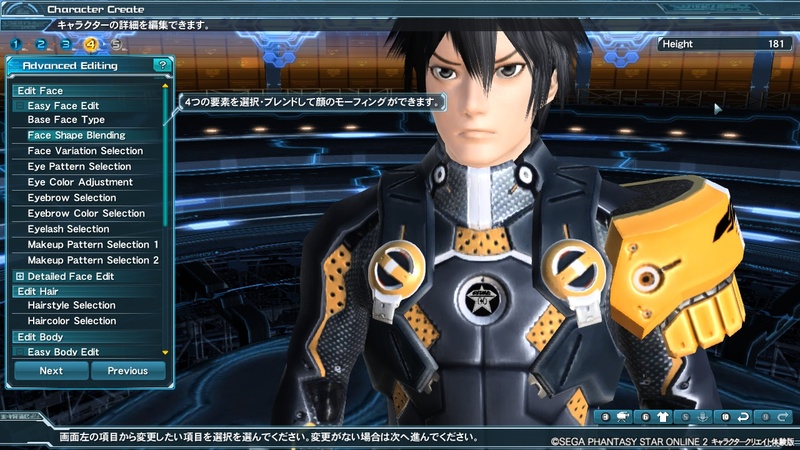 If you were looking for the translation patch for the full game of PSO2, you’ve reached the wrong post. Click here for that. A fan-made translation patch has been released, which you can download here. Two more files you will need are this one and this one. This patch will translate most of the text, but not all. This is of course an unofficial patch and as such I take no responsibility for any damage this may cause to your install, especially as I didn’t make it myself. As with anything unofficial make back-ups of the files this over-writes. There is also the possibility that this patch violates the EULA of the character creation demo. You take full risk over your account by using this patch. Credit goes to Agrajag for creating the patch. Translations by an anonymous member of 4Chan and Ricardo at Bumped. Only the first link works for me. The others directly open up the contents of the file as text. Try right-click save-as in your browser. When you recieve the files, remove the .txt extension before pasting them into your character creator’s /data/win32/ folder. I get the message This account’s public links are generating too much traffic and have been temporarily disabled! when I try to download the files. Mind reuploading? The host’s account has become popular lately, so this is gonna be a continuing problem for this link. Should the creator find a new hosting solution I’ll update this post. Next Next post: Mag Features Expanded + New Mission Style: Emergency Quests.